The Kerry Central Regional Water Supply Scheme has been voted national Engineering Project of the Year for 2018, it has been announced. The €30 million project is now providing a safe and secure water supply for over 62,000 residents as well as industry and agriculture in the region, and serves the more than 1.1 million tourists who visit the region annually across Tralee, Killarney, Castleisland and Castlemaine. The scheme’s new water treatment plant is amongst the largest in the country and provides over 50 million litres of drinking water every day, with the improved quality of water available now meaning the 62,000 local customers have been removed from the Environmental Protection Agency’s Remedial Action List (RAL). The project by Irish Water, in association with Kerry County Council, and undertaken by Nicholas O’Dwyer Ltd, TOBIN Consulting Engineers and Glan Agua Ltd, won out in the flagship category of the ninth annual Engineers Ireland Excellence Awards, held in association with ESB, at a ceremony in the InterContinental Hotel in Dublin. The Engineering Project of the Year category is sponsored by Transport Infrastructure Ireland and is voted for by a panel of judges and the public. “Complicated by its scale, nature, and location, the project required advanced water treatment processes, including recycling to conserve water and the use of pumping stations and pipelines, culminated in the creation of a new sustainable supply of drinking water for residents, businesses and industry in the region. The project also included an upgraded hydroelectric power turbine and water storage of up to 15 million litres of water, which is the equivalent of six Olympic-sized swimming pools. 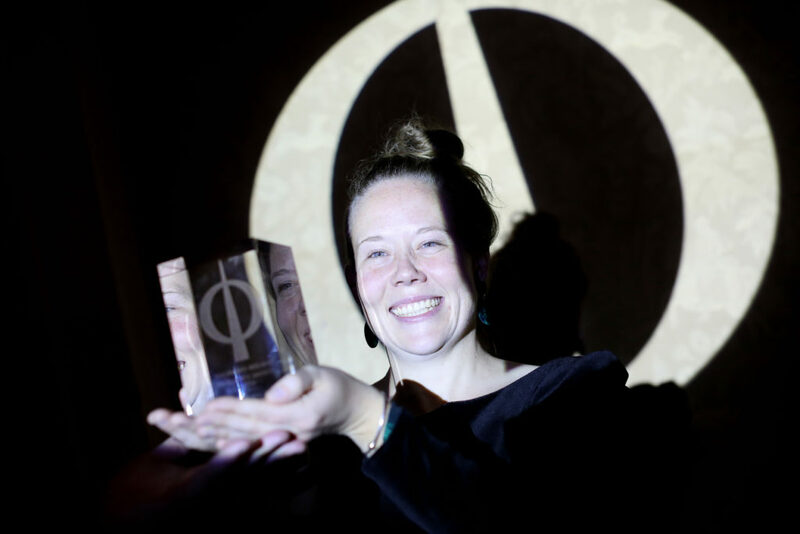 In other award categories, Aoife Murphy won the prestigious ‘Chartered Engineer of the Year Award’ for her work relating to earthquake-damaged residential buildings in New Zealand. The ‘Local Authority Engineering Initiative Award’ was won jointly by Leitrim County Council and Jennings O’Donovan & Partners Limited for the Lough Rinn International Rowing and Canoe Course Project, and by Wicklow County Council for the River Dargle Flood Defence Scheme. 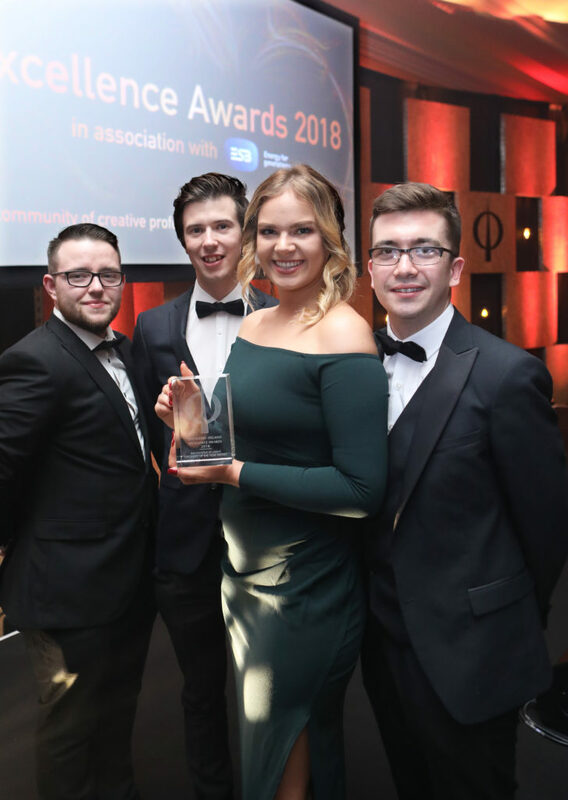 “This year’s awards once again highlight the outstanding and diverse achievements of engineers across Ireland who have demonstrated exceptional engineering skills through their work whether at home, or aboard. Taking action and leadership to help Ireland build a fit-for-purpose and sustainable infrastructure is a national imperative, with engineers a critical part of making this a reality – and so ensuring Ireland has a ready supply of skilled engineers remains a vital societal and economic priority. Cian O’Leary, Kevin Hayes, Muireann Hickey, and Jonathan Mullane of Cork Institute of Technology, recipients of the Innovative Student Engineer of the Year Award, sponsored by Siemens, at the Engineers Ireland Excellence Awards. The student team members from Cork Institute of Technology were presented with the award for their innovative mobility enablement device, StrydeTech, which will allow users to get from the seated position to the standing position independently, a feature absent from conventional walking frames. Kevin Hayes, Muireann Hickey, Cian O’Leary and Jonathan Mullane of Cork Institute of Technology won the Siemens ‘Innovative Student Engineer of the Year Award’ for their mobility device, StrydeTech, a life-changing mobility enablement device providing independence and confidence to those who are unable to stand up on their own. Liam Coleman won the ‘Best Presentation Award’ for his submission on Auckland’s Motorways, while the Aran Sweater Market in Galway by TOBIN Consulting Engineers and Architectural Conservation Professionals, won the ‘Heritage and Conservation Award’. Lufthansa Technik Turbine Shannon won the ‘CPD Employer of the Year Award’. 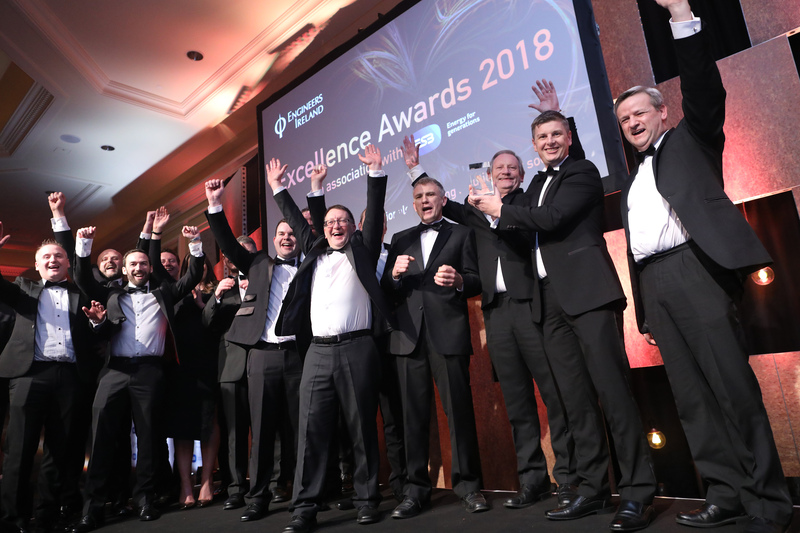 ESB International Engineer of the Year Award recipient Siobhan Kennedy holds her winner’s trophy aloft at the Engineers Ireland Excellence Awards ceremony, which took place on Friday, 9 November at the InterContinental Hotel, Dublin. Sponsored by ESB International, the award aims to acknowledge the contribution of the Irish engineering diaspora by recognising the excellent work of Irish engineers around the world. Siobhan, an NUIG graduate, previously worked in Haiti to support reconstruction following an earthquake in 2010 and is currently a Recovery Advisor with the Housing Recovery and Reconstruction Platform in Nepal where she has supported coordination efforts since the 2015 earthquake which killed almost 9,000 people and destroyed more than 810,000 homes. Also honoured were Eoghan Lynch, Chartered Engineer and Chairman of Arup Ireland, who was presented with the ‘ESB Outstanding Contribution to Engineering Award’ and Siobhan Kennedy, who received the ‘ESB International Engineer of the Year Award’. Siobhan, an NUIG graduate, previously worked in Haiti to support reconstruction following an earthquake in 2010 and is currently a Recovery Advisor with the Housing Recovery and Reconstruction Platform in Nepal where she has supported coordination efforts since the 2015 earthquake which killed almost 9,000 people and destroyed more than 810,000 homes. David Porter, Divisional Roads Manager at the Department for Infrastructure, Northern Ireland, also recieved the ‘President’s Award’, which was presented to him by the President of Engineers Ireland, Peter Quinn, and sponsored by CRH. Other awards on the night went to Sunderland’s Northern Spire Bridge which won the ‘Geoscience Ireland Award’, while the ‘Design-Driven Innovation: Combined Sewer Interceptor Physical Model Test-Bed Project’ by Ward and Burke Construction Ltd and the National University of Ireland, Galway won the ‘Technical Innovation of the Year Award’ category.